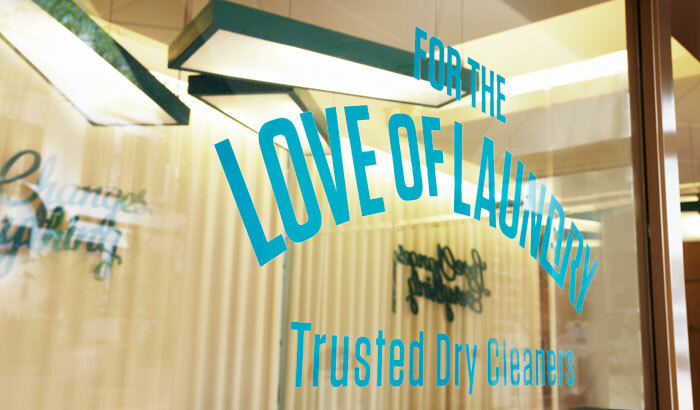 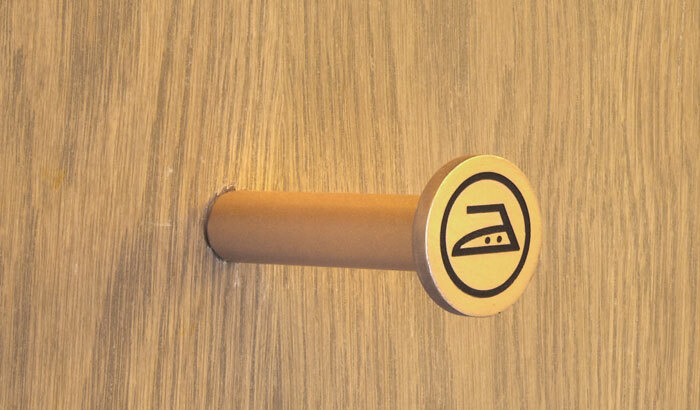 Branding for a high-end laundry shop. 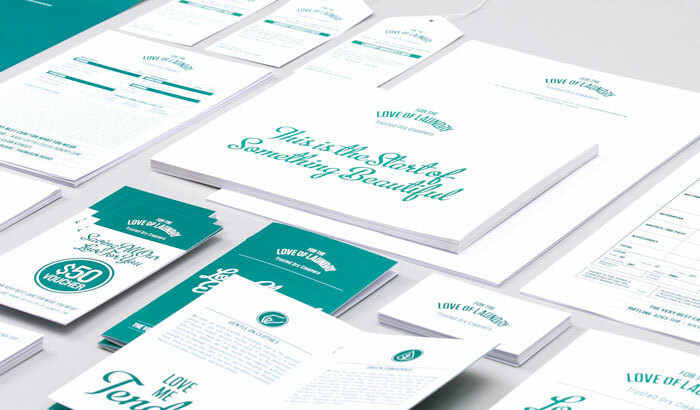 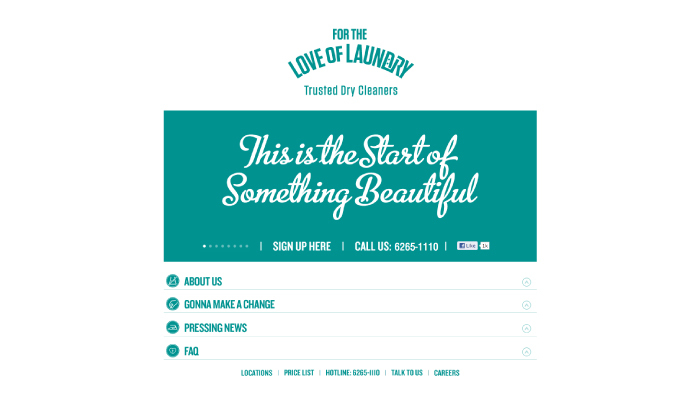 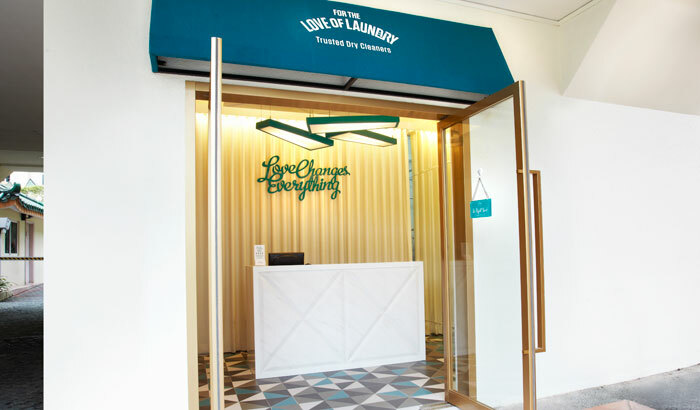 For The Love Of Laundry is the first company in Singapore to use toxin-free technology, lovingly improving clothes whilst caring for the environment. 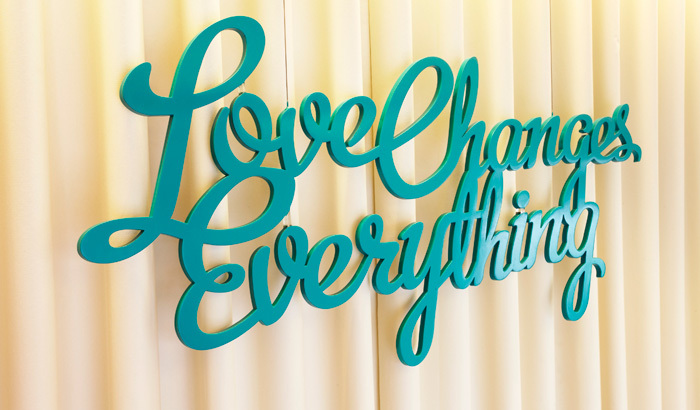 Stemming from the mantra ‘Love Changes Everything’, their brand identity puts a spin on typical laundry label icons, taking on a romantic approach. 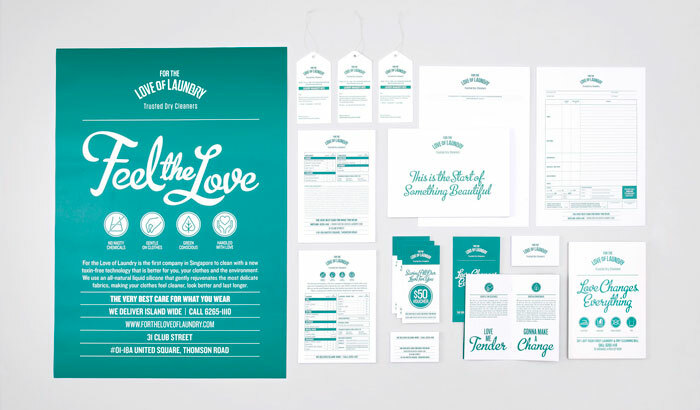 A colour palette of teal and white is applied across the entire collateral and stores with an eco-clinical appeal. 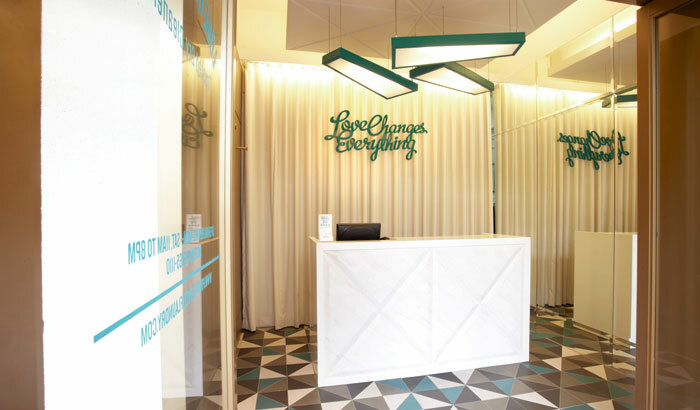 Laundry outlets are decked out in timber panels and framed with a soft, matt gold finish creating a warm and inviting ambience.